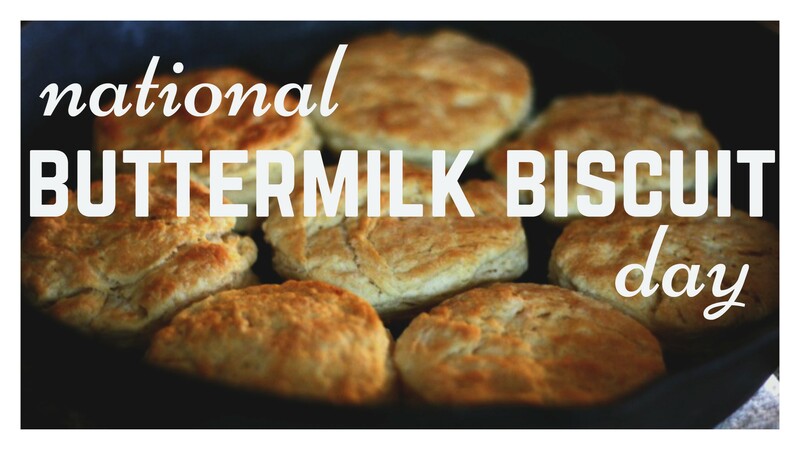 In the United Kingdom, the word “biscuit” is used to refer to what we in the United States would call a “cookie”. White flour, commonly used to bake biscuits, is almost instantly metabolized into sugar. Biscuits will quickly spike your blood-sugar level. Mustard is a common condiment to use on biscuits in the south, especially to accompany ham. Most biscuit recipes call for a healthy dose of butter in the baking process. Despite this, many people butter their biscuits after they are served as well. The main difference between biscuits and rolls is the leavening agent. Biscuits use baking soda. Rolls use yeast. 1686 Gabriel Fahrenheit was born. Fahrenheit was a German physicist who invented the Fahrenheit temperature scale thermometer. It was the first thermometer to use mercury instead of alcohol, which also extended the temperature range of thermometers. 1853 Gail Borden applied for a patent for condensed milk. 1878 Vaseline petroleum jelly was trademarked by Robert August Chesebrough. 1896 The coldest May temperature ever recorded in the U.S. lower 48 states: Minus 10 F at Climax, Colorado. 1943 Jack Bruce of the music group ‘Cream’ was born. 1985 The first McDonald’s restaurant, in Des Plains, Illinois, became the first fast food museum. 1994 The FDA announced that the ‘Flavr Savr’ tomato, a biotech developed food, is safe. 2008 The Chicago City Council repealed its ban on the sale of Foie Gras. Biscuits use baking powder, not baking soda. I make biscuits all the time.